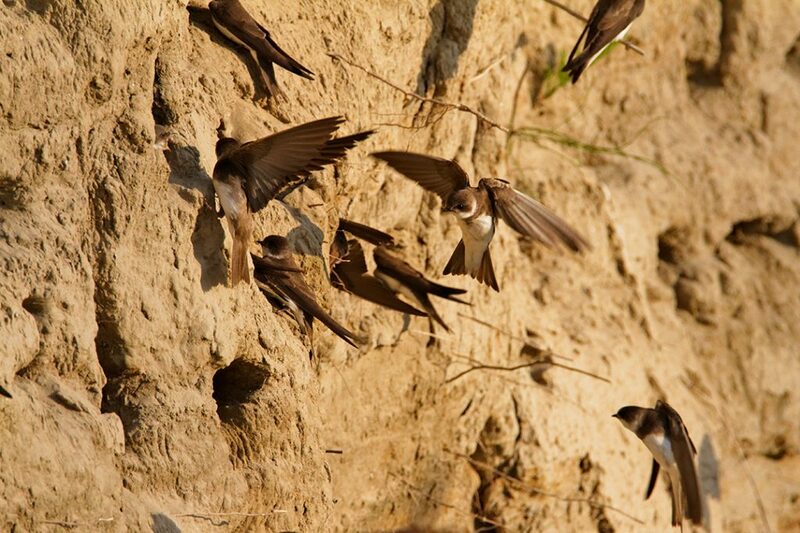 The Sand Martin (Riparia riparia) - dweller of the steep river banks - World Rivers Become a Patron! 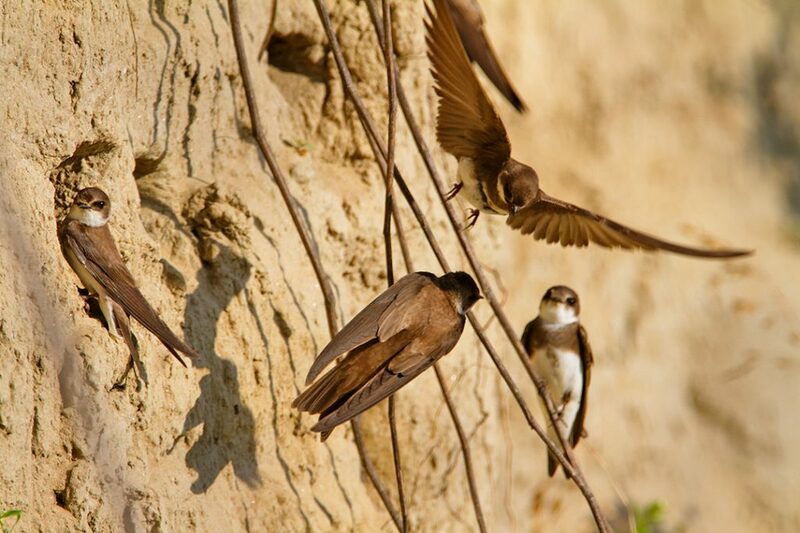 The sand martin (Riparia riparia) is a bird that can’t live without river erosion, breeding on a steep river bank. They are the symbols oft he natural rivers. 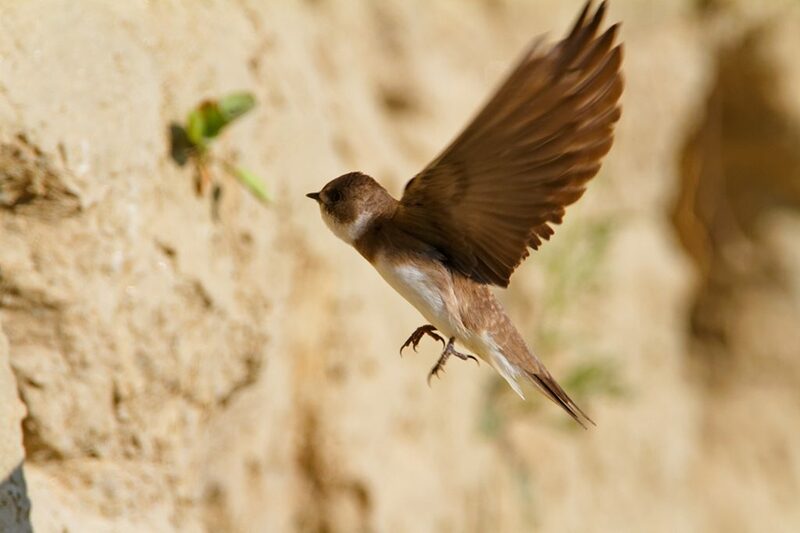 The sand martin is a small, mostly brown species of swallow, with long wings and a slightly forked tail. 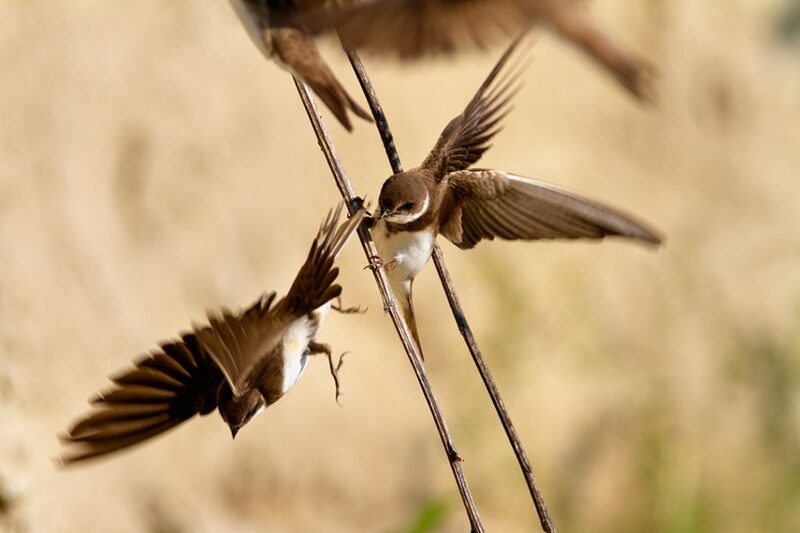 They feed on flying insects, especially mosquitoes, which they hunt in the air, but they sometimes eat terrestrial or aquatic insects and their larvae. They nest in colonies which they dig in steep eroded river banks, and like the common kingfisher and the European bee-eater, they are a good indicator of free-flowing watercourses with undisturbed dynamics. 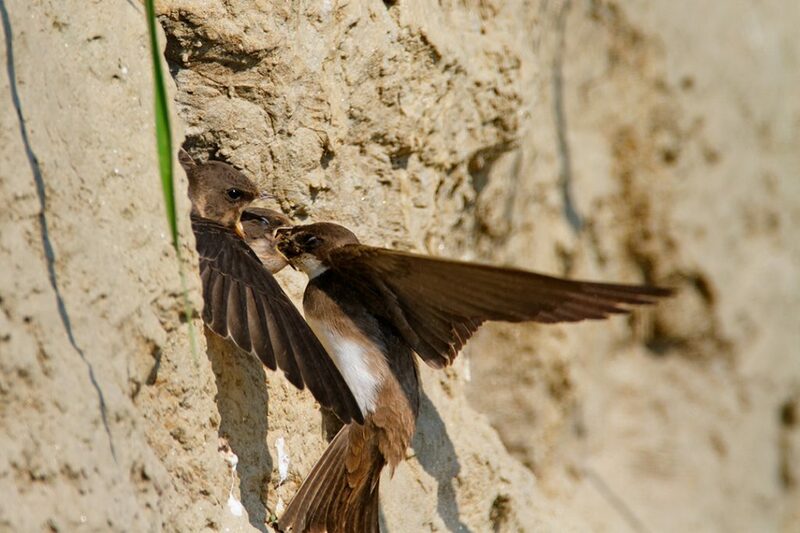 The sand martin is sociable in its nesting habits; from a dozen to many hundreds, even thousand pairs will nest close together, according to available space. 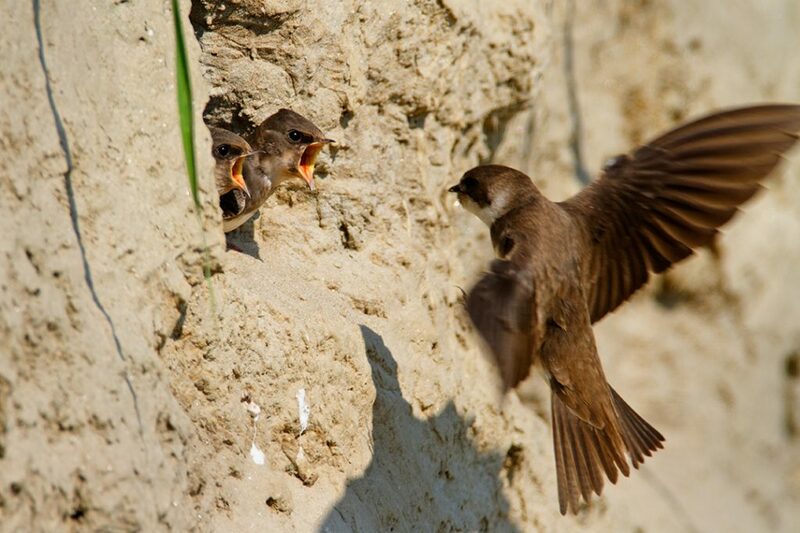 The nests are at the end of tunnels of from a few inches to three or four feet in length, bored in sand or gravel. The actual nest is a litter of straw and feathers in a chamber at the end of the burrow; it soon becomes a hotbed of parasites. Four or five white eggs are laid about mid-late May, and a second brood is usual in all but the most northerly breeding sites. 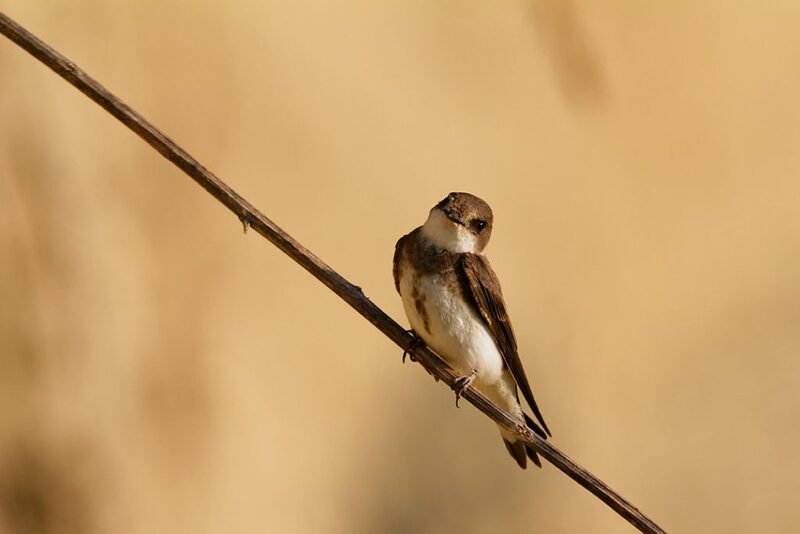 Unlike other swallows that are connected with human populations, the sand martin can be seen in wetlands near water, ponds, and swamps, oxbow lakes, along rivers and lakes, and above fish ponds and reservoirs. They nest in Europe, Asia, and North America. 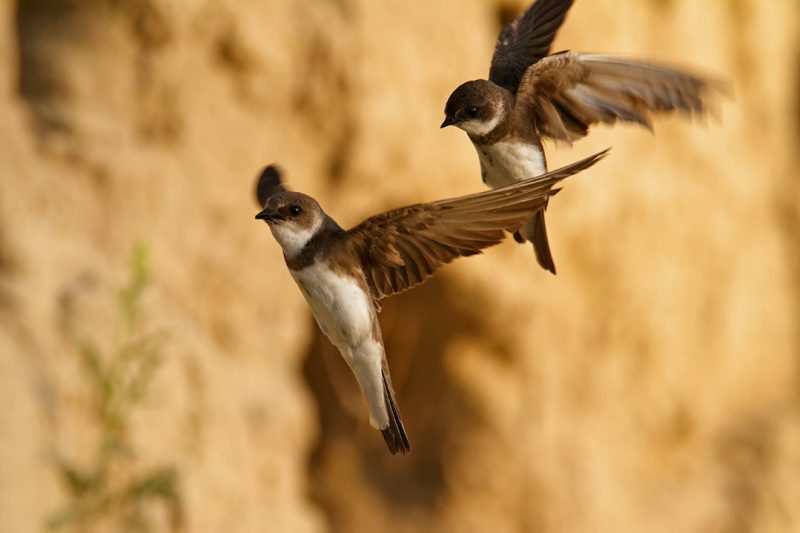 European populations are true migratory birds that spend their winters in Sub-Saharan Africa. 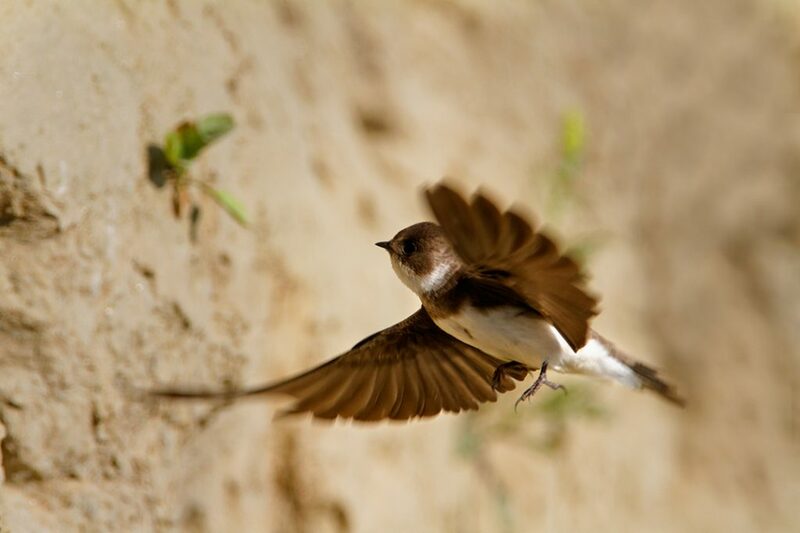 Due to systematic regulation and the construction of embankments, a dramatic drop in the nesting population has been recorded along many rivers. 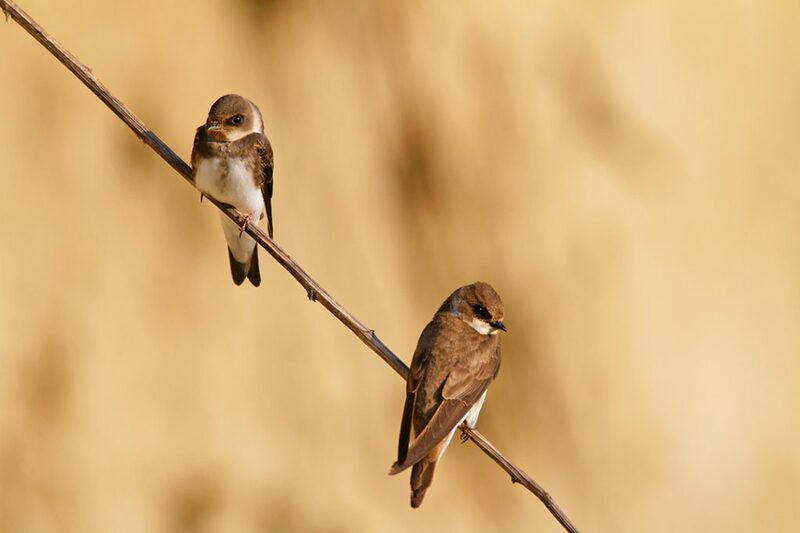 Birds are continually looking for new banks, as old ones are overgrown and the nests infested with the parasites.